"a tale of love and mecha"
A great story has wonderful characters, plot, sensory details, and world building. But more than that, a great story has a certain spark that draws you in from the very beginning, and keeps you coming back for more. 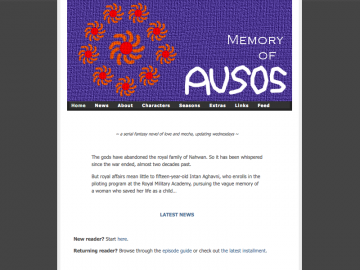 Memory of AUSOS has all of those things. Memory of AUSOS has not been recommended yet.